Sony Pictures Classics has revealed two new photos for Bennett Miller's drama Foxcatcher. 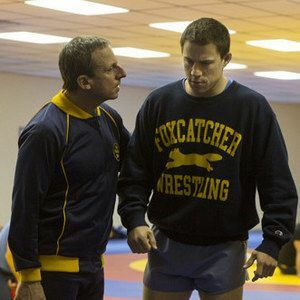 The film tells the true story of a pair of Olympic Wrestling Champion brothers named Mark Schultz (Channing Tatum) and Dave Schultz (Mark Ruffalo). The story revolves around their relationship with the heir to the du Pont Chemical fortune John du Pont (Steve Carell). Get a glimpse at the barely recognizable stars in these latest stills.